Built-in 36 pcs adjustable LED lighted allow you to do your make-up in the dark or poorly lit areas. Please Kindly Note Battery Operated: use 4x AA Batteries (not included). Made from extra thicken ABS plastic with UV coating, nice looking and resistance to scratch, chemicals, heat, finger prints, and etc. 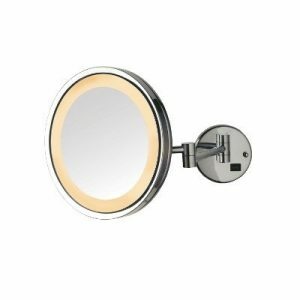 Designed with sensor controller to access to brighter or darker lighting effect, all through your finer touch. Optimal design with much practical value, Will you allow it to pass you by? 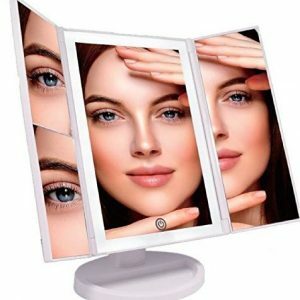 Lmeison makeup mirror is a New Version mirror, which features at LEDs brightness in white light. You could press on/off the light by touch screen on mirror. 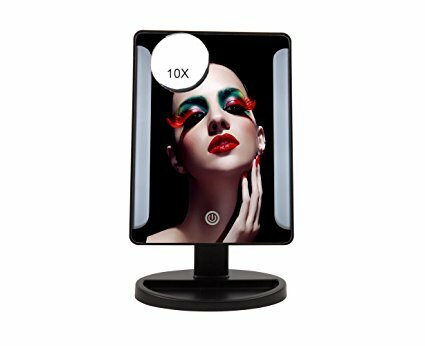 In the pub or car or the darkness, LED makeup mirror can help you finish makeup any time. Watch, earrings, bracelets, Tissues and any small jewellery, etc. Premium eye-care LED light, gives out light evenly ensure better eye protection. So convenient to take with you to anywhere. It’s best gift for ladies and girls in Halloween, Christmas, New Year, Valetine’s Day, Mother’s Day, Birthday, Party, Performance, Special occasions, etc. Slim and elegant look, attractive black finish will match any environments. Rectangular shape provides more of a viewing area than the round ones. ON/OFF Switch: Energy efficient LED integrated lights stay cool while conserving energy. Long service life. 180 Free Rotation Movable: Can fix at any position to give you the perfect viewing angle. . 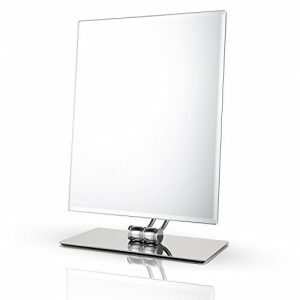 Controlled by touch sensor switch on the mirror, turning LED lights on/off whenever you want.